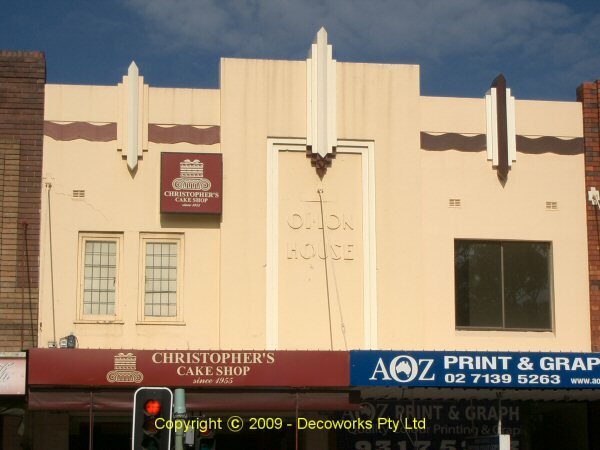 Art Deco and Post Modern treasures in and out of Sydney. 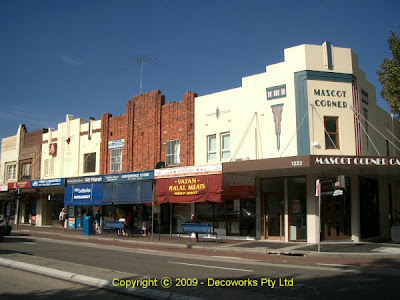 Here are four shops in Mascot I discovered recently at 1209 -1223 Botany Road. 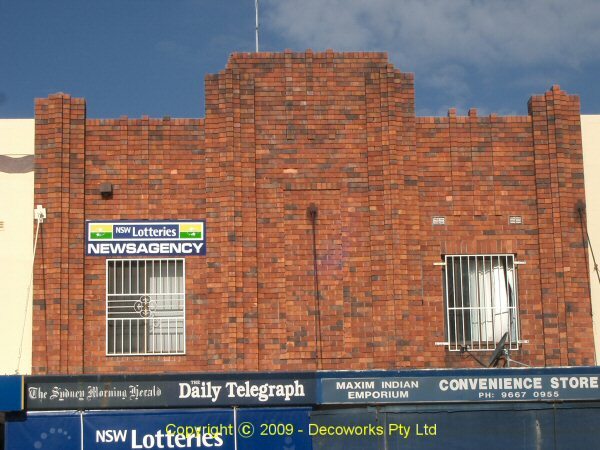 It is unusual to see a group of Art Deco buildings adjacent to each other here in Sydney. 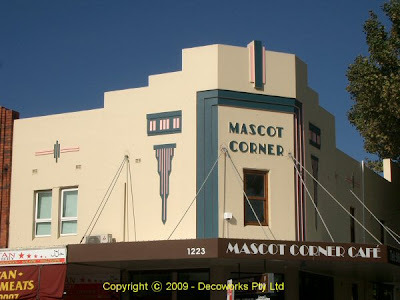 Number 1223 is known as "Mascot Corner" while number 1213-1215 is known as "Orion House". 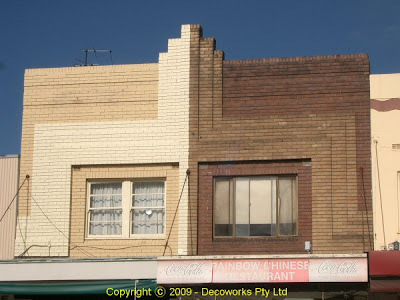 I have been unable to find any further information on these buildings. For a larger view click on the image required. More Art Deco information can be found on the DecoWorks Pty Ltd website. We provide versatile prop making and decorative design services for the theatre and displays as well as creating stylish decor props for the house and garden. We also design Art Deco security bars for windows and doors.